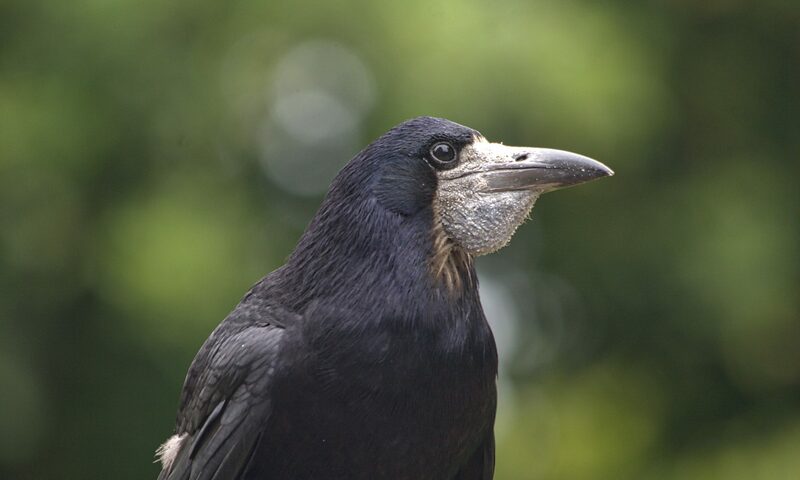 This small but growing photo gallery is devoted to corvids, but also to other birds species, who have been or still are in our care. At the heart of our approach is the respect for all sentient beings, who should not be regarded as objects. Therefore we are strictly against speciesism, meaning the moral discrimination against certain individuals based on their membership to a particular species, similar to racism or sexism. Before we founded Corvid Isle, we did run for many years a small self-funded non-for-profit wildlife rescue and later on charity. 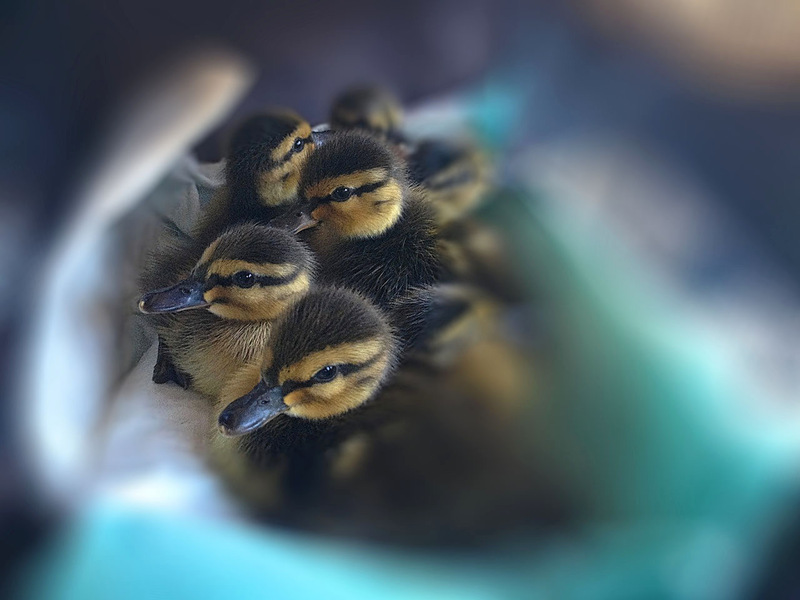 During this time we have rescued and rehabilitated many hundreds of birds, with special emphasis on corvids, sea and water birds, birds of prey, swallows, martins and swifts. All of our non-human patients, regardless of their story or species, have been very close to our hearts. Over the years we had the privilege to get to know quite a number of these amazing sentient beings and became, at least for a short while, part of their lives. This small picture collection has been compiled out of many thousands of photographs and has been chosen to represent the diversity and beauty of our wildlife. 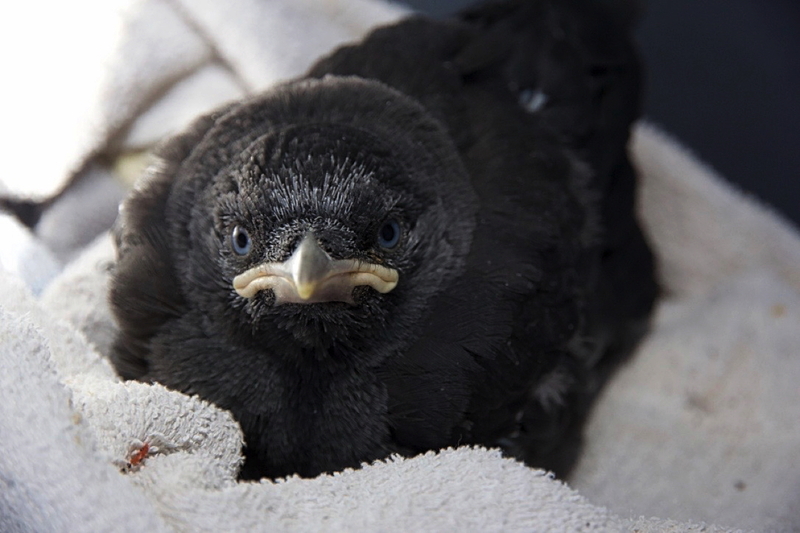 Amor was a carrion crow hatchling, who has been caught by a cat. 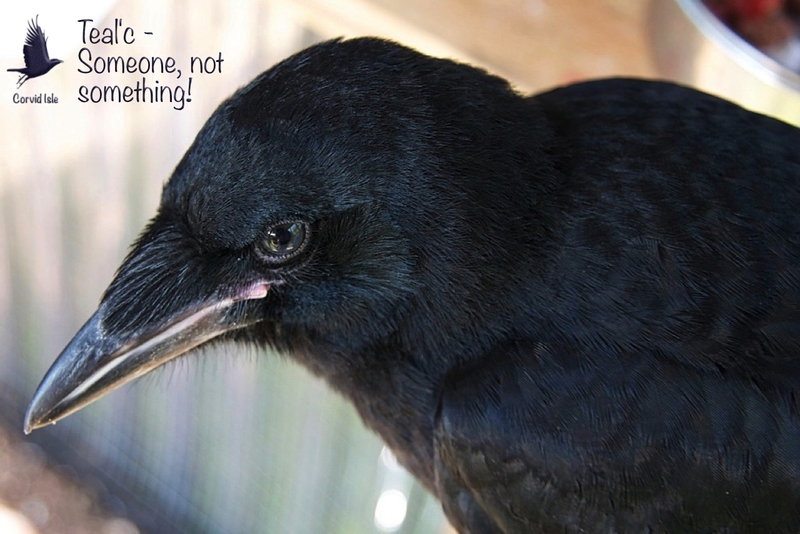 This in itself is very unusual, as it is difficult to imagine that a cat would be able to raid a crow nest. We don’t know what exactly has happened, but we do know that Amor was very lucky to survive his odyssey. He came to us being hypothermic, dehydrated and in shock. Amor suffered also a severe soft tissue injury to his left shoulder joint, which did involve the joint capsule, putting him at risk of developing a chronic joint infection. We treated him accordingly and managed to stabilise his situation. His soft tissue injury started to heal well and Amor seemed to develop in a normal and timely fashion. However, after two weeks, completely out of the sudden and within a few hours, he deteriorated and stopped eating. It was almost like his immune system had collapsed. Although we did commence intensive treatment measures immediately, it took almost another week, until we dared to believe that Amor would survive. But he did! For those reasons it is worth noting, that this photo collection might no be entirely representative for a normal carrion crow development. 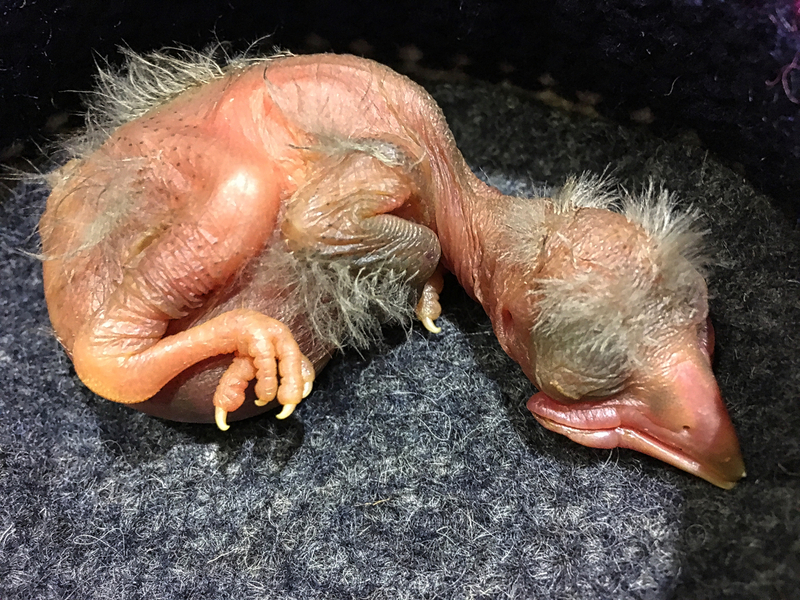 Identifying baby birds can be confusing, given their unclear markings, incomplete growth and unusual proportions. 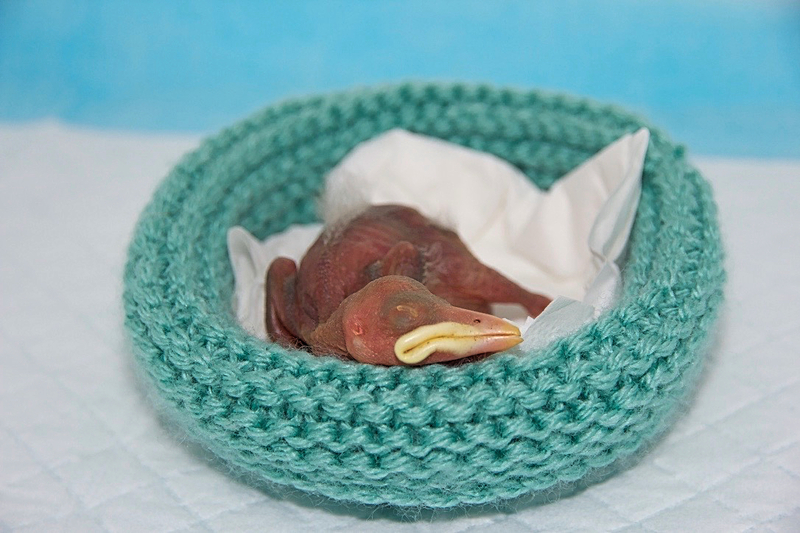 This album is hopefully helping to understand the different stages of development showing the day by day development of Jackdaw Iggy, who has been rescued from a chimney as a hatchling after the nest came down.